Now it was not unusual to hear there are young people affected by stroke. Actually stroke can be prevented, among others, with more mengasup vegetables to maintain healthy blood vessels. Most strokes are caused thickening of the walls of the arteries due to cholesterol deposition in fat (plaque). Plaques narrow the blood flow so that blood flow is reduced. In a recent study revealed a strong association between fiber consumption with cardiovascular disease, including coronary heart disease and stroke. Victoria Burley who conducted the study said his research is long-term. He collected 8 studies conducted since 1990 and involving 500,000 participants. They were interviewed about the consumption of fiber and followed their health records for 8-19 years. The researchers found the risk of stroke can be reduced by 7 percent for every additional 7 grams of fiber consumed per day. In other words they most diligently eating the most fiber lower risk of stroke. Adding an additional 7 grams of fiber can come from two pieces of whole wheat bread, vegetables or fruits. Mostly high-fiber food low in calories so it also helps maintain ideal weight remains. Additionally foods that are high in fiber has many vitamins, minerals, and antioxidants, including polyphenols and flavonoids that will make the blood vessels more elastic. 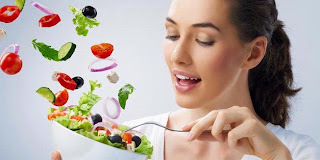 A healthy diet shall we live if you want to avoid the various diseases. In this regard, experts recommend us to regularly eat bananas and reduce chips to prevent stroke. 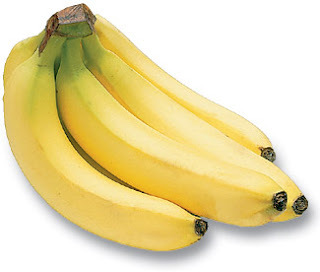 Bananas are rich in potassium fruit. The average banana contains 420 mg. Potassium plays a role in lowering blood pressure. While the chips contain a lot of salt, which can raise blood pressure. That's why the combination of those two things is highly recommended if you do not want to have a stroke. A study found that people have enough potassium intake stroke risk 24 percent smaller. Yet before the researchers found that consumption of potassium in the elderly can be dangerous because it causes decreased kidney function so it can not eliminate the remnants of blood potassium. But it is contradicted by a recent study that showed no negative effect of potassium on renal function. The researchers say there is very strong evidence that regular consumption of food sources of potassium are very positive impact for those who suffer from hypertension. The researchers analyzed 128,000 people to more than 33 times the experiment. They found that people who consume more minerals, for example, often eat bananas, safe for everyone. The recommended daily potassium intake is no more than 3,500 mg.
Another study found that reducing salt intake in four weeks or more can significantly lower blood pressure. In the end it may lower the risk of stroke and heart attack. Dr.. Clare Walton of the Stroke Association said that a healthy diet is the key to manage the risk of stroke. "High blood pressure is the biggest risk factor for stroke. Changing to a healthier diet can keep blood pressure under control," he said. Fruits and vegetables is definitely good for our body and this is one of the key on how to maintain a healthier heart and prevent stroke, this also include proper exercise too. We all know that stroke is a blood cloth within our brain that stops a proper blood flow and oxygen that circulates in our entire brain and body. I've read and article why l arginine benefits which contains nitric oxide that according to the noble- prize winner Dr. Murad on nitric oxide will definitely help a good blood flow within our heart through our entire body. Using the right health products plays a key role in the quality of your health. For example, take a water purifier. Giờ tôi mới biết chuyện này, cảm ơn bạn đã đăng bài này. Tôi xin giới thiệu tôi làm bên cong ty van tai ha noi chuyên cung cấp các dv vận chuyển hàng hoá Quốc tế như vận chuyển hàng đi Campuchia, vận chuyển hàng sang Viêng Chăn, vận chuyển hàng qua Trung Quốc. Ngoài ra bên tui cũng cung cấp dv vận chuyển nội địa như vận chuyển hàng đi Sài Gòn, van chuyen hang ve Ha Noi, chuyen do vao Bac Ninh, van chuyen hang vao Nha Trang. ya it is well and good. thus i got more information from your blog so please update latest kind of information. Giám đốc gánh vác Nghiên cứu CBRE tại Singapore và khu vực Đông Nam Á, Desmond Sim nhận định: “Hiện vẫn còn phổ thông rào cản và tránh dịch vụ vận tải hàng hoá Bắc Kạn mà những nước trong khối ASEAN cần phải vượt qua”. trước tiên là khả năng điều hành yếu kém của chanh xe di Thanh Hoa, nguồn cung nở rộ sở hữu thể dẫn đến biến động giá thuê mặt bằng van tai hang ra Bac Giang. Điều này sẽ gây bê trễ hoặc thậm chí ngăn cản việc mở mang của những nhà bán lẻ. Thứ hai là việc thiếu nguồn lao động có tay nghề cao cũng là thách thức, với thể gây trở lực trong việc dịch vụ vận tải hàng hoá Hà Nội, vận tải hàng đi Bắc Ninh, van chuyen hang hoa Cao Bang, vận tải hàng hoá Điện Biên Phủ và mở rộng của các nhà sản xuất công nghiệp mang trị giá cao. Thứ ba là sự chênh lệch lớn về chuyên môn giữa những nước thành viên cũng hạn chế các tác động hăng hái của bắt buộc tự do hóa lao động ASEAN. Chennai Railway will release RRB Chennai Group D result on official railway website. Chennai Railway Group D Cutoff mark is also announced. The RRB Chennai Railways Group D exams got over. Over 2 Crore candidates are written the exam. The most awaited RRB Chennai Group D CBT1 Results 2018 will be released soon. The candidates who are all wrote RRB Group D CBT1 for the Indian Railway Helper, Gateman, Trackman, Porter, Track Maintainer, Pointsman and Hospital Attendant recruitment can only able to download Chennai RRB Group D result Selection list pdf.